If you’ve ever encountered the HP Wireless Orange Light of Doom you already know how annoying it can be. For those of you who don’t know what the HP Orange light is: Basically the internal wireless card in the machine stops working and no longer shows up in Windows Device Manager and the machine appears to no longer have a wireless card. Most people junk their machines, or add a USB wireless card, as the cost for a new motherboard can be around 400$+ from HP – You can get a decent laptop for around $400, sooooo. There are countless forum posts online about the issue, and different methods on how people got theirs to work again. One of the most successful ones that i’ve seen work is the CPU stress test here: http://www.techspot.com/vb/topic130484.html others have replaced the wireless card – but most people still have the issue again after a few days or even hours. After countless HP’s coming into my shop with the orange light issue and trying all the methods people suggest online – I decided to play with one that was traded in. I tried the CPU stress test (see link above) and it appeared to work. Windows detected the wireless card, but within 20 minutes of the laptop cooling, the light went orange again. 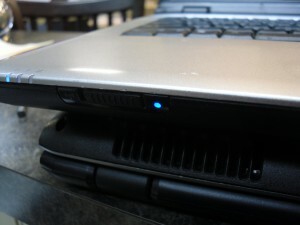 I opened the laptop and started to check the wireless card connection when I saw a few issues. The actual wireless connectors appeared to have some black junk and specs along the copper connectors. I cleaned them at first with a fine flat head screw driver, scrapping off the junk on the contacts for a better connection. You can probably use anything else as long as it is fine enough to scrape the copper connectors on the motherboard contacts. Followed it up with an alcohol swab to the connectors as well. 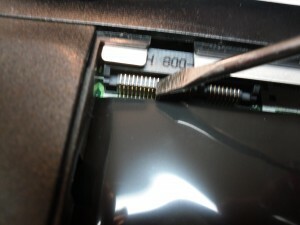 *IMPORTANT* Another thing I had to do on a couple of the machines – is when inserting the wireless card back into the machine, you need to press the card so it almost gets shoved at an angle and then tighten the screw down to hold it in position. This is only proves that the actual copper connectors are what’s going wrong and not the actual board, at least with the machines I’ve worked on here. 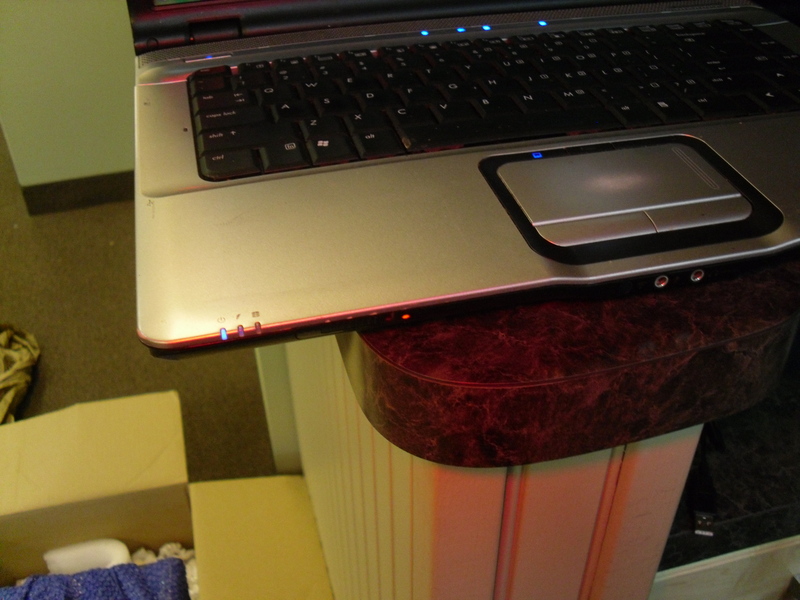 While I can’t attest for every single HP with an orange light – I’ve been successful now with 3 out of 3 HP laptops with this issue, the contacts always appear to be dirty. I think the CPU stress test is just heating the copper and raising them for a better connection – and when it cools down they go back into position – this is just a guess but can’t say for sure. I guess I need more HP laptops to test this out withot prove it, so if you live near North Windham, CT and are having this issue- stop over at Logistics and we will try it out on your laptop. I hope this article helps you out, this has saved a few customers costly repairs at our shop here. Let me know if this works for you, we would love some comments. Hey, thanks for the info. You have to giggle the card around a little for the blue lite to come on. The answer is ditry connectors alright!